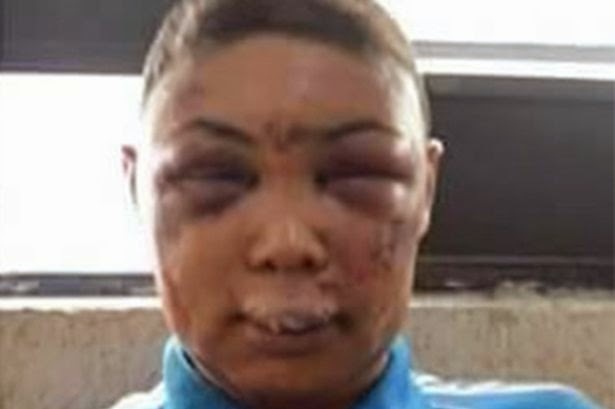 These graphic images of a badly beaten transgender prisoner have sparked outrage across Brazil after it was said police officers ‘pulverized’ her face, forced her to strip and shaved her head25-year-old Veronica Bolina was arrested on Sunday (12 April) for assaulting an elderly women in her apartment building in São Paulo and put in a male prison. For reasons not yet clear, the model got into a fight with a police officer during a cell transfer and bit off half his ear. officers. The incident has caused outrage among Brazilian LGBTI activists and supporters, who accuse the officers of transphobia. Brazil is reportedly the most dangerous place on Earth to be transgender. Last year, 113 trans people were murdered in the country, half of all reported trans murders in the world.